As with all the books in the "At a Glance" series, the aim of the approach is to reduce frills to zero, to condense words to the absolute minimum and to make the illustrations the primary tool of communication. The text repeats some of what is in the drawings and adds further basic information. It is not intended to try to replace existing textbooks of endocrinology, but to provide students with a tool with which they can revise rapidly, economically and with confidence. 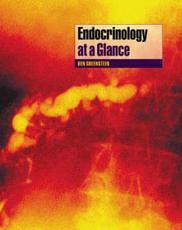 It will also serve as a useful introductory book for those who do not need a great deal of detail about endocrinology. It is therefore aimed at the student who wants essential information available literally at a glance.